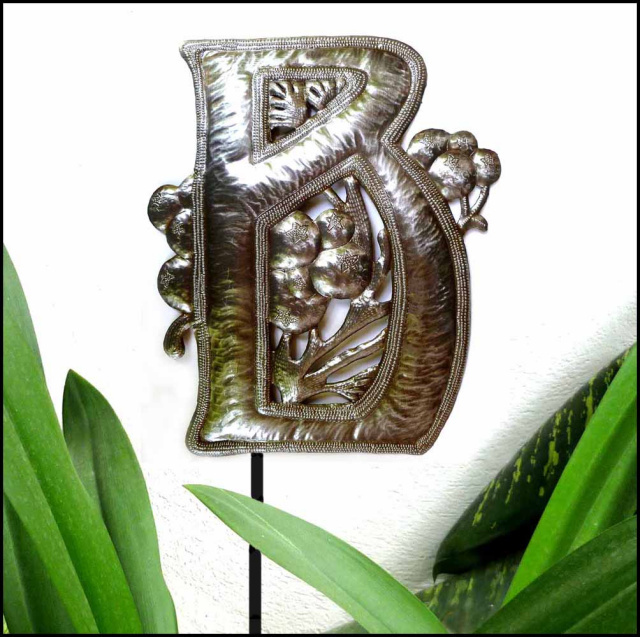 We have recently introduced very special handcrafted metal house numbers and letters, which are shown below. 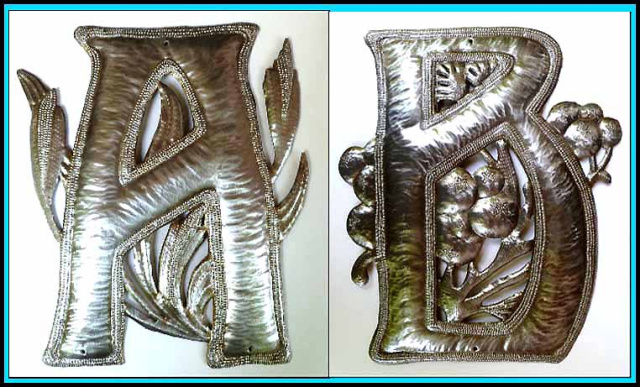 Each decorative metal design is cut in the shape of the number or letter and hand painted or given a special hammered effect. 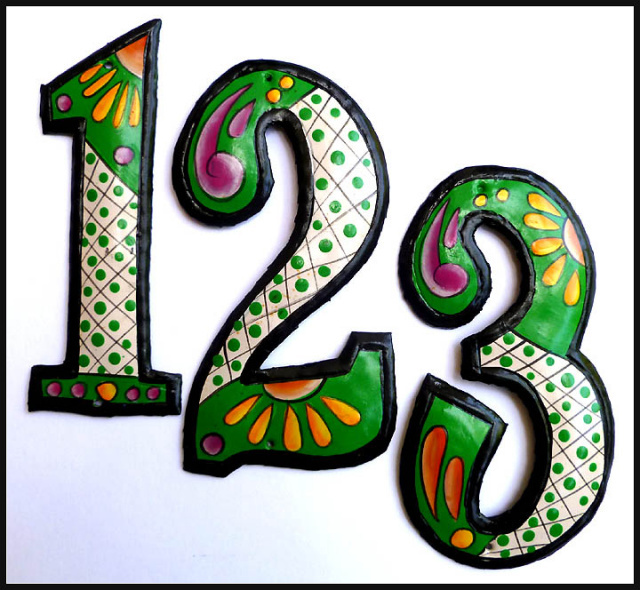 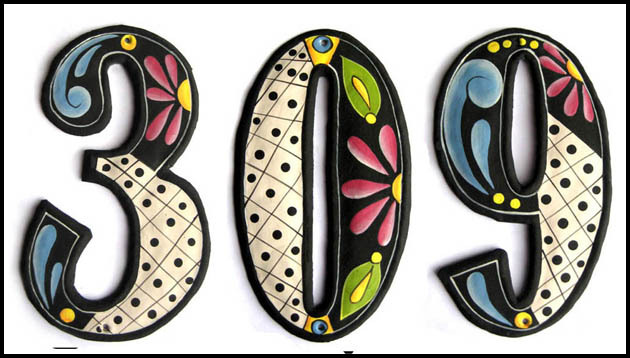 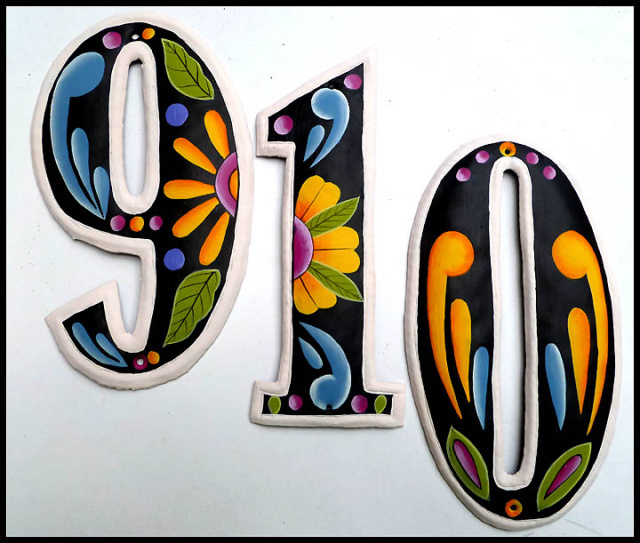 The painted numbers are available in in 2 sizes - 7 1/2" or 4 1/2" high. 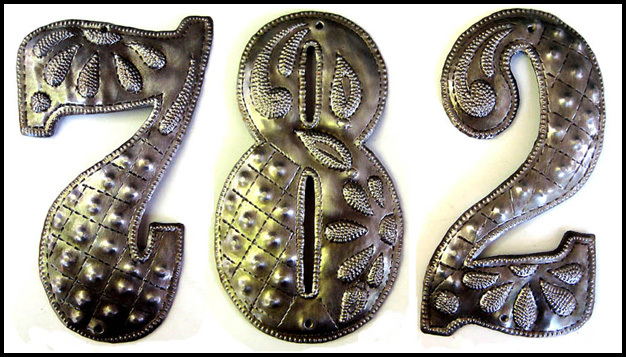 The hammered metal address numbers are available in 3 sizes 12", 7 1/2" or 4 1/2". 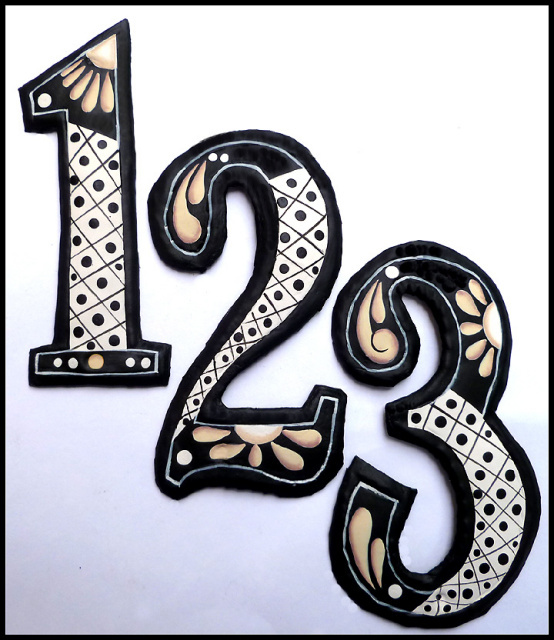 Decorative letters are available in the sizes shown. . 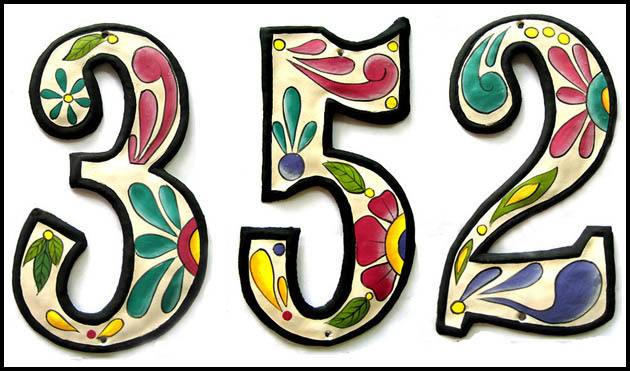 Please click on small photos at lower part of this page for more information and to see the full set of each style of address numbers. 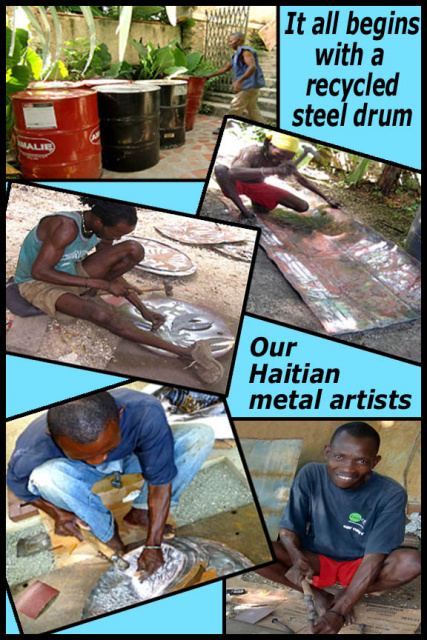 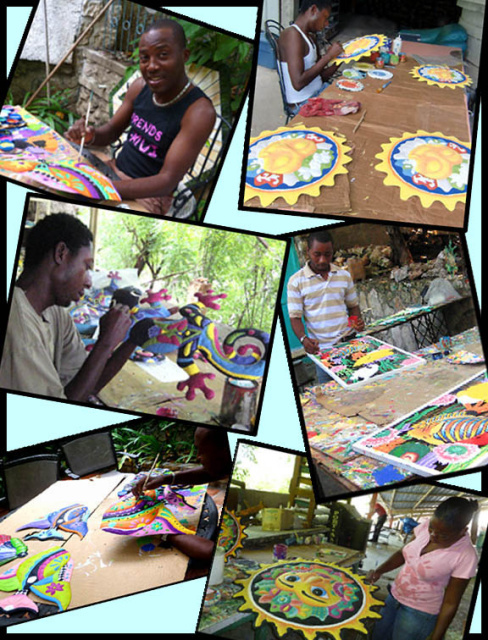 For more info, additional photos and to place your order, click on a photo below. 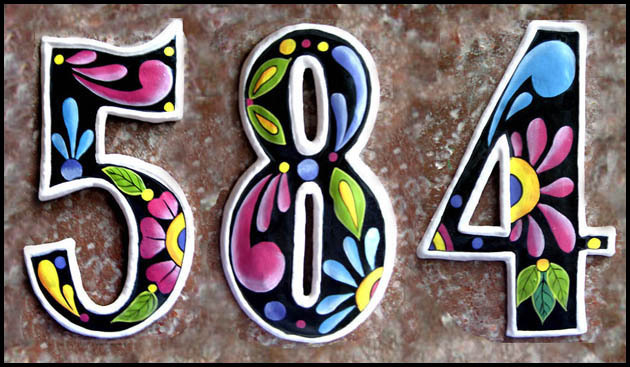 Hand Painted Metal Address Number - Decorative House Numbers - 7 1/2"
Painted Metal Address Numbers -Decorative House Numbers - 7 1/2"
Painted Metal House Numbers - Decorative Address Numbers - 4 1/2"
Painted Metal House Address Numbers - Recycled Steel Drum - 7 1/2"
Painted Metal House Address Numbers - Decorative House Numbers - 4 1/2"
Hand Hammered Metal Letters - Recycled Steel Drum Art - 4 1/2""
Metal Letters - Handcrafted in Haiti - Recycled Steel Oil Drums- 7 1/2"
Decorative Metal Letter - Handcrafted Steel Drum Art from Haiti - 11 1/2"
Letters - Decorative Metal Initials - Recycled Steel Drum Art of Haiti - 12"